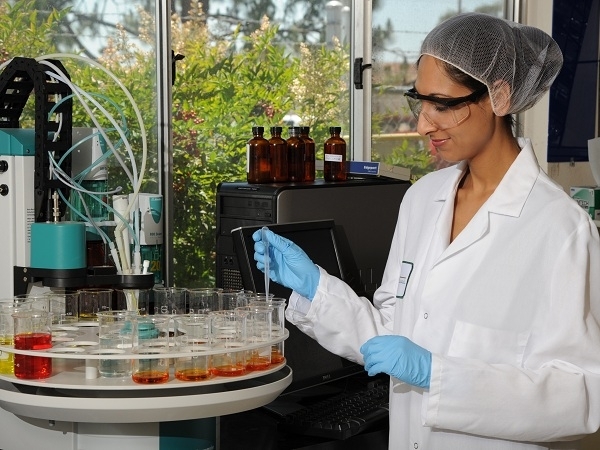 An oil finisher separates citrus peel from the essential oil and water mixture. 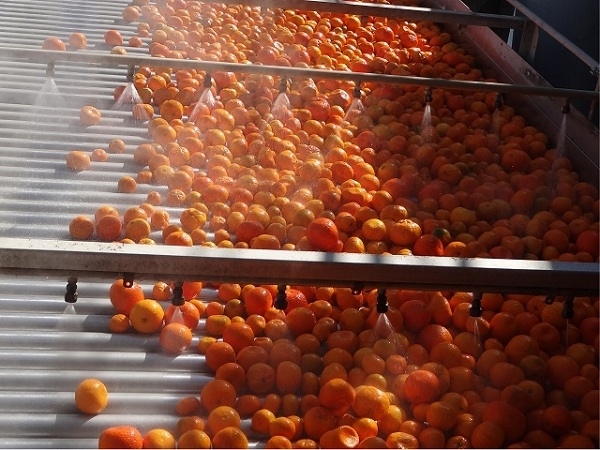 Learn More TOP: Citrus peel is removed from the essential oil and water mixture by the oil finisher. 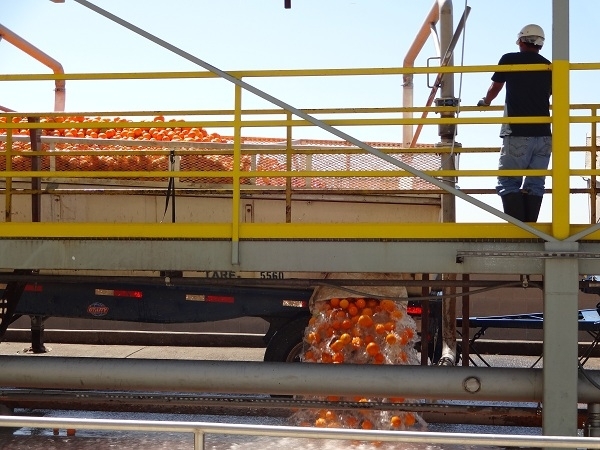 BOTTOM: Citrus peel is loaded for transport. 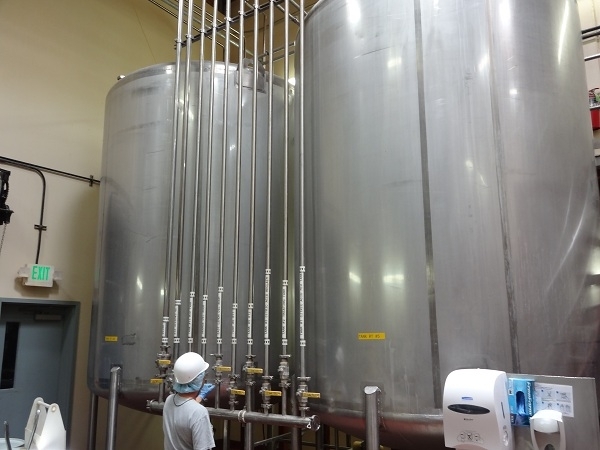 An oil separator removes most water from the essential oil and water mixture to create oil emulsion. 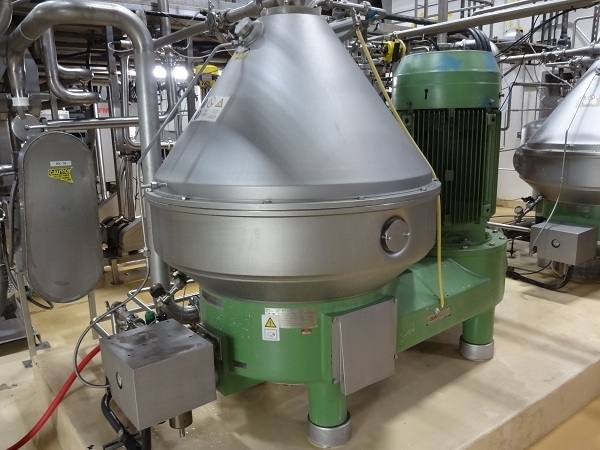 Learn More A centrifuge spins the oil and water mixture to remove most of the water and leave oil emulsion. 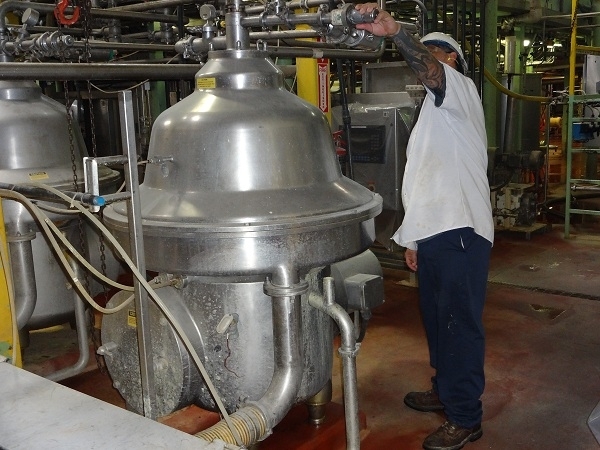 Oil emulsion goes through a proprietary process to separate raw citrus oil from water. Learn More Raw citrus oil is produced from the oil emulsion through a proprietary process of water removal. 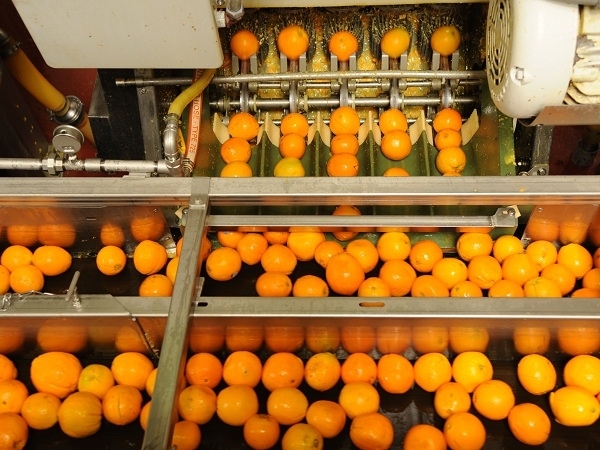 An oil polisher separates water from raw citrus oil. 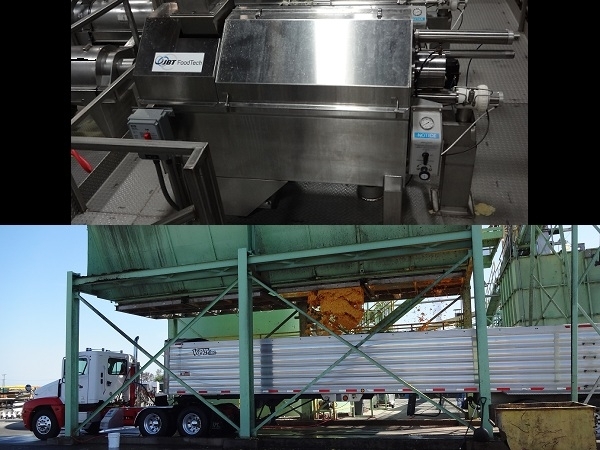 Learn More An oil polisher is a centrifuge that separates residual water from raw citrus oil. When chilled, natural waxes precipitate out and a filter removes the waxy particles. sent through a filter (not pictured) to remove residual wax particles. 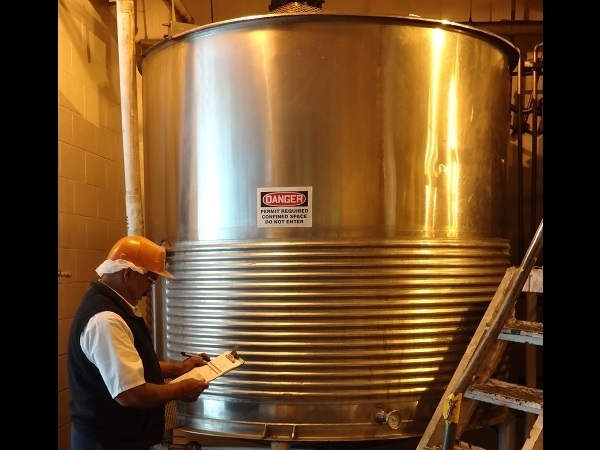 Oil is packed into various containers: tins, drums, or even tankers. 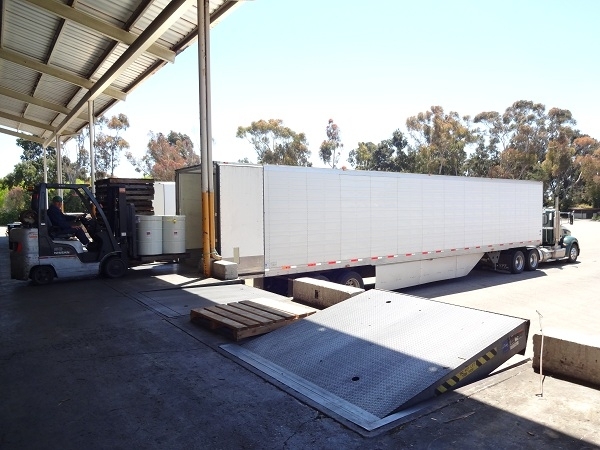 Learn More A pallet of four 55 gallon citrus oil drums being loaded onto a truck. Packaged oil is loaded for shipment. Learn More Pallets of 55 gallon citus oil drums are loaded for shipment.